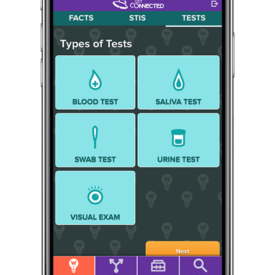 Get Connected is a two-arm prospective randomized controlled trial (RCT) in Philadelphia, Atlanta, or Houston. Participants randomized to the control condition are directed to a website that includes information on HIV prevention services via the AIDSVu.org testing site locator. Participants randomized to the intervention condition will receive tailored online content specific to their demographic characteristics (e.g., age, race/ethnicity, location, and relationship status), HIV/STI risk behaviors (e.g., HIV/STI testing history; substance use; communication with partners regarding status) and sociocultural context (e.g., homelessness, incarceration). We will also recruit, enroll, and train 10-15 mystery shoppers per city to conduct a mystery shopper assessment. 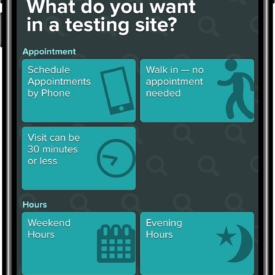 Two mystery shoppers will visit each testing site separately and complete a standardized assessment of their visit. Site directors from 10 randomly selected testing sites in each city will be interviewed to assess sites’ satisfaction with the biannual site reports that reflect mystery shopper and RCT participant ratings of their site. Mystery shoppers are enrolled for approximately six months, or the time it takes them to complete approximately ten site visits. YMSM participating in the RCT are enrolled for 12 months. Total RCT study sample size is 480 with the aim of maintaining a randomized sample of approximately 400 online-recruited and retained YMSM for 12 months. After consent and completion of the baseline survey, YMSM are randomized to either the intervention (n=240) or control (n=240) condition. 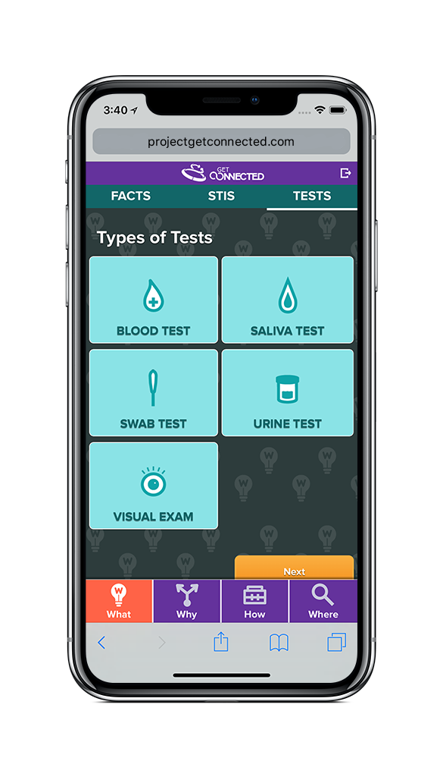 To test the efficacy of an e-Health intervention for increasing HIV-negative or HIV-unknown YMSM’s successful uptake of HIV prevention services (e.g., routine HIV/STI testing) and PrEP awareness and willingness, as compared to the attention-control condition over a 12-month period. 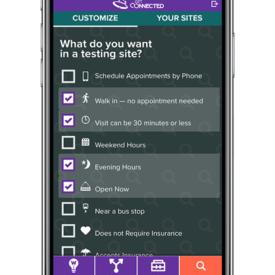 To examine the quality of HIV test counseling and PrEP-related referrals to YMSM within local HIV/STI testing sites in 3 cities (Houston, Philadelphia, and Atlanta) through the use of mystery shoppers. 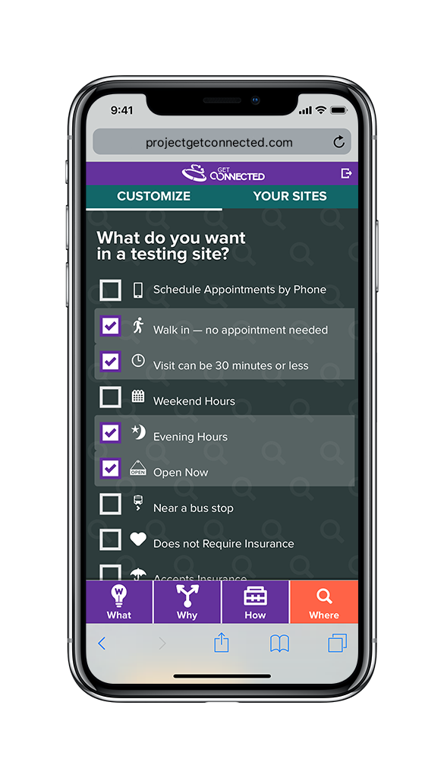 Qualitatively assess testing sites’ satisfaction with the biannual site reports and their improvements in service delivery when working with YMSM across the three regions.